Posted By:Unknown | At:7:40 AM Be the first to comment! 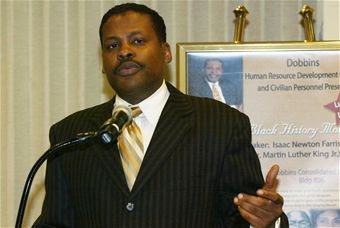 ATLANTA (AP)-- The Southern Christian Leadership Conference has named Isaac Newton Farris Jr., nephew of the Rev. Martin Luther King Jr., as president. King founded the civil rights organization in 1957. The Rev. Howard Creecy, who had been president of the SCLC, died last month. SCLC officials also announced that Bernard LaFayette Jr., co-founder of the Student Non-Violent Coordinating Committee, has been named national board chairman. He replaces Sylica Tucker, who resigned. The SCLC board also named Don Cash, a Washington, D.C. labor official, as vice chairman, and Louisiana attorney Randal L. Gaines as acting vice president.